How to select a fan for an induction motor optimally? Home » FAQ » How to select a fan for an induction motor optimally? 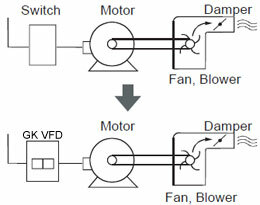 Adding a separate fan improves motor efficiency but system efficiency reduces. It is important to consider the power input external fan motor also while calculating efficiency. In most of the cases people do not like to go for separate fan as it reduces reliability of the motor system. Separate fan is used for variable speed motors where the speed variation is from 0 to rated or higher speed. First one need to know the quantity of air required at least flow of air over the motor body in mt/sec. With this as the base you can increase the dia of the fan if there is space. If not increasing the no of fins and area of fins will help. Please note that with these fan noise I.e wind age noise will increase and it could become an issue. One other way is to see whether you can use unidirectional fan if the direction of rotation of the application is fixed. Unidirectional fans provide less noise and more air for a given fan size. Regarding velocity of air it varies on size of motor also. For medium range I.e around 150 Hp the velocity can be as high as 20 mts/sec. It is lesser as the size reduces. It also depends on speed of motor and no of poles of motor. High pole motors require higher velocity due to lower rated speed of motor. 2 pole and 4 pole motors very easily get good velocities from shaft mounted fans. Each manufacturer develops his /her own thumb rule. First measure the air velocity on the surface motor at cowl exit or variable speed drive end using a velometer. (Quantity of air is given by product of air velocity at air inlet and area of air inlet). Once you get the velocity you need to carry out few experiments with different fans as we do not know whether the fan in the motor is optimal one. There is a band of velocities for which the cooling will be optimum. Too low a velocity or too high a velocity can increase the motor temperature. The basic questions that will need to be answered first are application, voltage, motor design, horsepower/kW, speed. 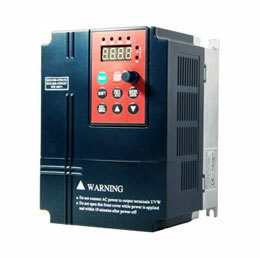 Also are there any "special" considerations such as variable speed drive control, speed range and is it VT or CT load. Simply changing the fan will vary the amount of air over the surface of the motor but could change the efficiency/rating on a smaller design, ie. The fan will consume energy from the shaft and may limit the output design rating. There are a multitude of design/construction considerations that could be changed to accommodate a specific application. As stated previously on a very large frame motor a forced ventilation system or blower may be the correct option. At extreme conditions a separate air source with variable volume may be the best option. The final consideration is a fan or air cooling source will only remove heat from the skin and may not effectively reduce the core temperature. There are other options in extreme cases such as water cooling or jacketed designs. Lastly is this a "general" industrial application or is ATEX or UL hazardous location a consideration. This will limit selection and relate to additional considerations to meet any local standards.